As Trump OKs Saudi Nuclear Projects, Rep. Sherman replies: "If you can't trust a regime with a bone-saw . . ."
Washington, DC (AFP) – The United States has given the green light to companies to work on six nuclear projects in Saudi Arabia, Energy Secretary Rick Perry said Thursday, despite lawmakers’ worries that the kingdom could seek weapons. Questioned during a Senate hearing, Perry confirmed that the Trump administration has approved six applications to do initial nuclear work in Saudi Arabia and two in Jordan. 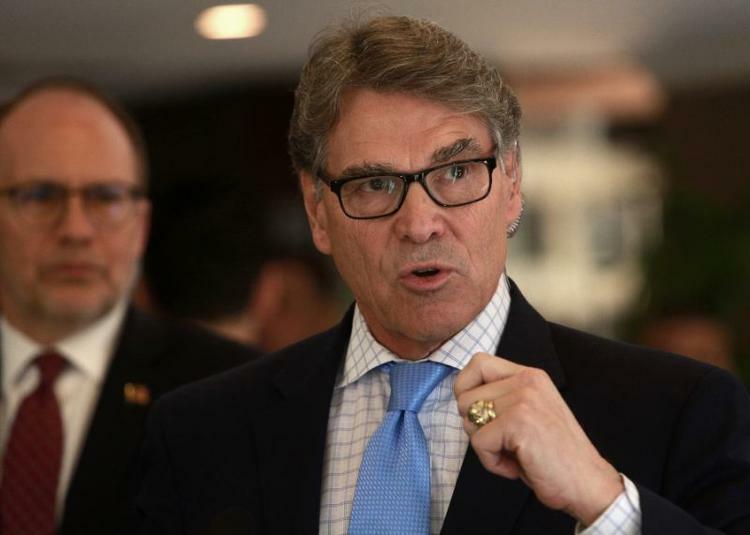 Perry, who said the Energy Department approved 37 of the 65 applications it received globally since 2017, promised the United States was committed to ensuring the Saudis do not reprocess spent fuel to make nuclear weapons. “I can assure you that those two countries don’t give a tinker’s damn about nonproliferation,” he said. The approvals, first reported Wednesday by news site The Daily Beast, were not earlier announced, with Perry saying the companies wanted to shield proprietary information. But Democratic lawmakers have voiced alarm that the Trump administration is rushing in secret to approve civilian nuclear energy in Saudi Arabia even though the kingdom — the world’s largest oil exporter — has not sought a so-called Section 123 agreement, under which a country assures the peaceful use of technology. US companies cannot legally transfer nuclear material to countries without Section 123 agreements. President Donald Trump has pursued a close relationship with Saudi Arabia, saying openly that the kingdom was good for US business even if the powerful crown prince, Mohammed bin Salman, is confirmed to have ordered the killing of journalist Jamal Khashoggi in October. Khashoggi, a contributor to The Washington Post who wrote critically of the crown prince, was strangled and his body dismembered after he entered the Saudi consulate in Istanbul to handle wedding paperwork. “If you cannot trust a regime with a bone-saw, you should not trust them with nuclear weapons,” said Sherman, a Democrat from California. Prince Mohammed has warned that the Saudis will pursue nuclear weapons if their arch-rival Iran obtains them.